We have a suspension package to get your car sitting how you want it, whether you are daily driving, track driving or your car is purely just for show. We specialise in all your suspension needs, supplying & fitting springs, shocks, leafs, coilovers and airbags. We use top brands such as Eibach, H&R, KingSpring, XYZ & Airride. We can apply laser cut rubber letters or bands to your tyre to really make your wheels pop! Our tyre lettering is available in 1” / 0.75” and 0.5” sizes and in white, yellow and red and can be stuck over existing lettering to display whatever words you like! The coloured wall bands come in 1” / 0.75” and 0.5” sizes and in white, yellow, green, orange, blue and red. To prevent this we roll the inner guards to create maximum clearance. We can also do Guard Flaring/Pumping which is the next stage to guard rolling for when wheels are wider than the body of the car and when Guard Rolling hasn’t created enough space for the wheels to fit without rubbing. We can do extremely good deals on the huge range of brand new Wheel & Tyre packages we supply. We also stock our ECM range be sure to check them out! We offer clean, affordable and quality window film installations. We have a variety of tint shades to choose from including blackout films to opaque privacy. We can respray your brakes & add fresh decals whether if its just to freshen them up or to completely change the colour! 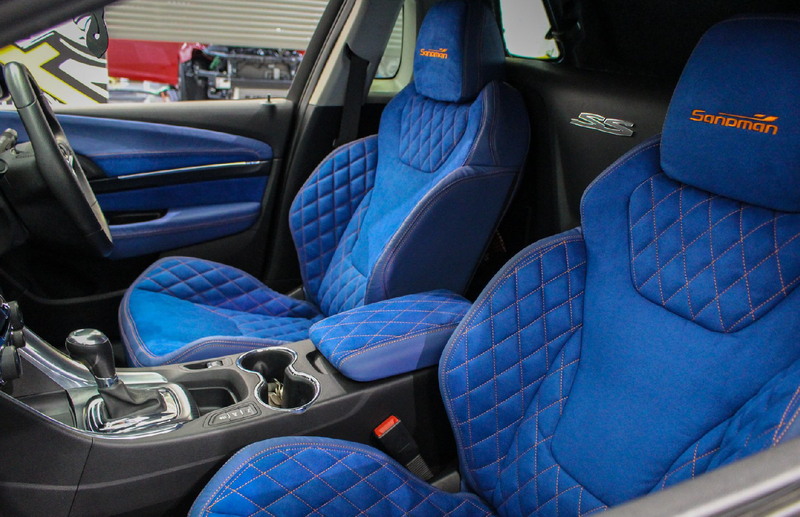 We offer complete retrim kits at an affordable price to customise the look of your interior. You can choose your colour, material & stitch pattern for your own personal touch. You can even keep your standard trim covers in case you want the option to return to standard.